Having sufficient storage is vital in any good camper trailer design. Storage deficiencies were a major reason behind producing my own trailer. The further you travel from civilisation, the more storage your camper trailer will require. This is because the need for self-sufficiency grows. A large volume of outdoor or 'dirty' storage will allow for this self sufficiency. 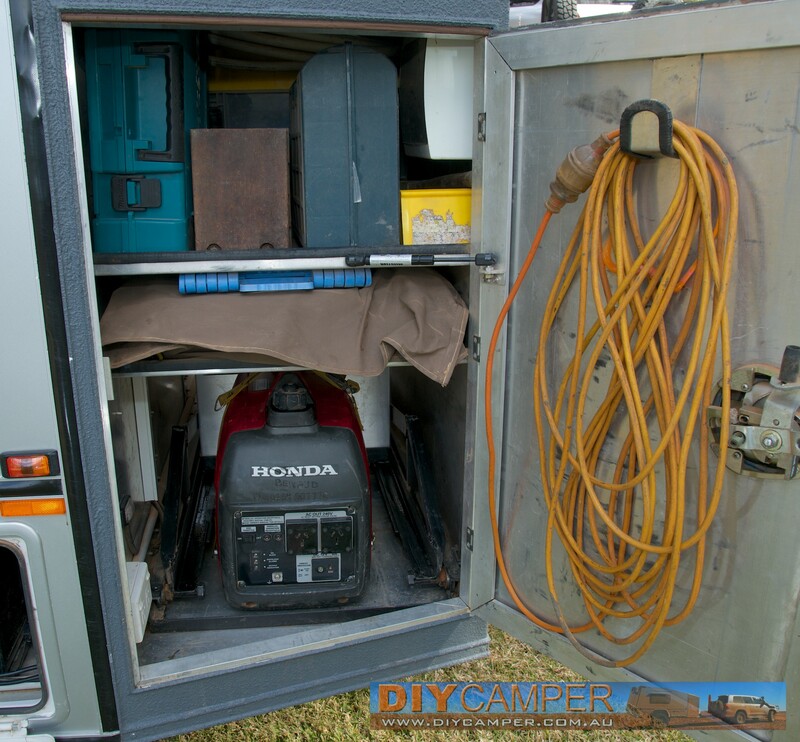 When designing your outdoor storage area, make allowances for a comprehensive tool kit (including electrical items and power tools), oils and fluids, spare parts for both the car and trailer plus ancillary items such as water hoses and power leads. I created a large storage area across the front of my trailer. One side forms part of the kitchen, with a microwave sitting above a slide-out fridge, but the other side is used for storage. When travelling remotely, I carry a large toolkit, cordless drill and impact wrench, electrical repair kit (cables, connectors, fuses, relays, soldering iron etc), engine and transmission oils, suspension components, a drinking water hose , electrical leads and a 2kVa generator. The last thing anyone wants to do in the rain is to constantly leave the warm, dry camper to get something out of the car. A well-designed camper-trailer needs some indoor storage space for everyday items such as clothing, bedding and food supplies. Try to design a versatile indoor storage area that can accommodate different items as required. In the case of my camper, there is ample room under and on top of the bed which can be set up to store any manner of items depending on personal preference or needs for a particular trip. 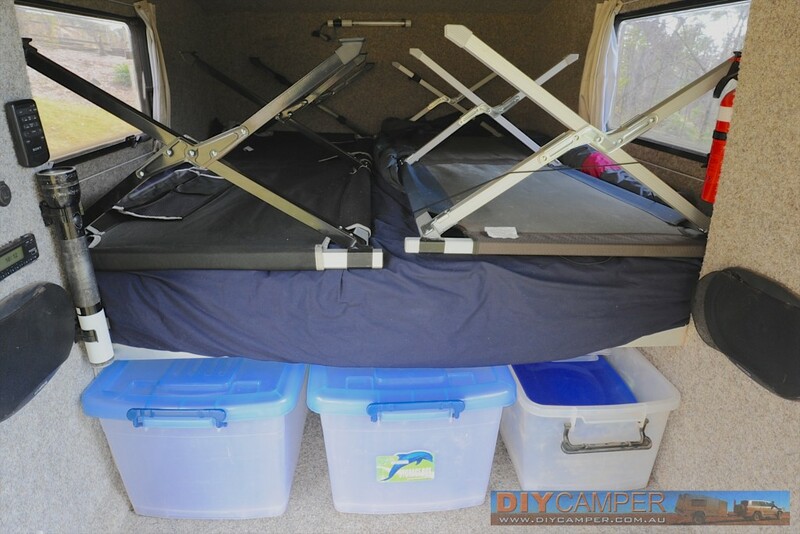 For example, on a long trip with the family, we might carry 6 large tubs under the bed with food, cooking equipment and some toys for the kids, then use the space on top of the bed to store bags of clothing, stretcher beds, fold-up tables etc. But if I'm by myself on a working trip, I might only have a couple of plastic tubs, leaving room for a folding table, camera gear and a bag of clothes under the bed, allowing the top of the bed to remain clear for a very quick setup and packup.